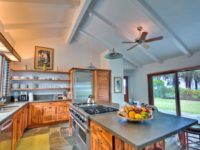 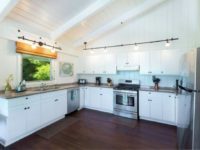 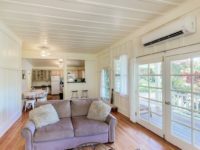 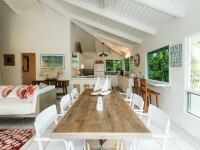 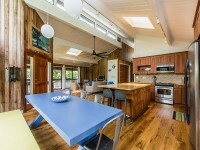 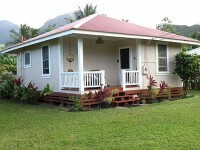 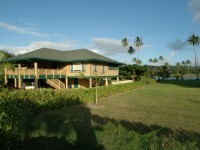 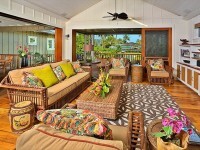 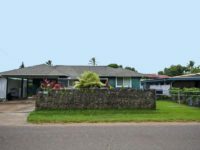 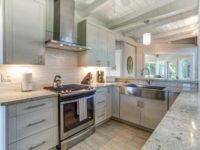 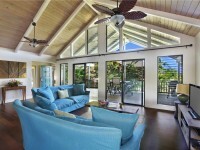 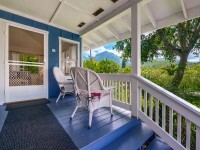 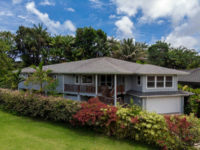 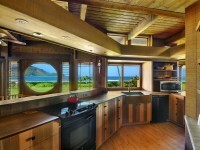 HANALEI, KAUAI VACATION RENTALS: Ka Makana Hanalei is a beautiful 3 Bedroom, 2 Bath home located at the end of a quiet cul-de-sac in Hanalei. 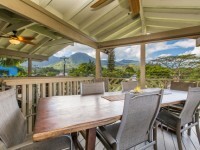 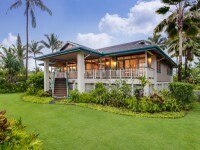 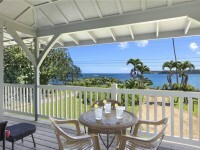 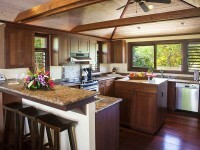 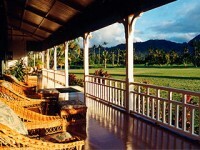 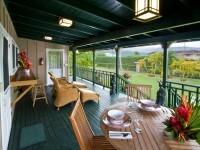 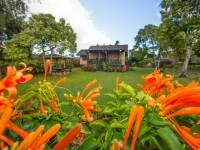 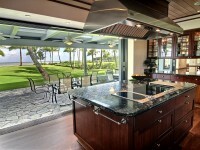 Enjoy views to the mountains, Wai’oli River, waterfalls and lush private gardens. 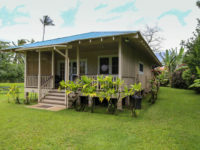 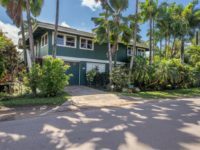 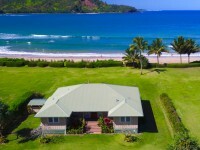 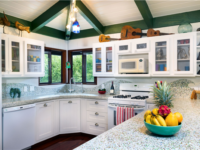 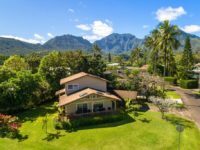 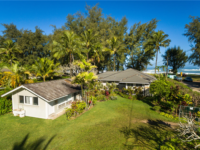 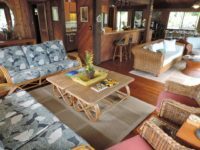 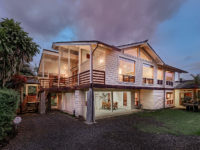 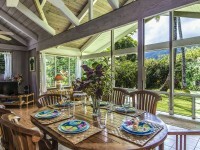 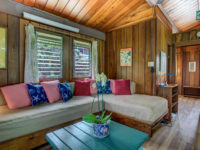 You will come to appreciate “The Gift of Hanalei” in this house, just across the street from one of the world’s most beautiful beaches, with beach access just a block away at Anae Road. 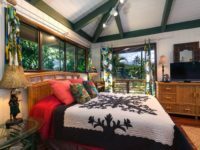 The ambience of this home and its generous screened lanai wrap you in luxury, whether relaxing on the pune’e bed or dining and listening to tropical breezes riffling through the palm trees. 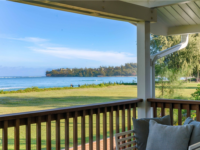 Ka Makana’s features include fully screened lanai, beautiful new furnishings, new luxurious bedding and linens, all new kitchenware, ping pong table, and much more. 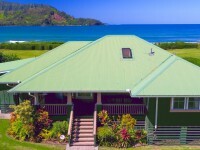 Sleeps 6-8.